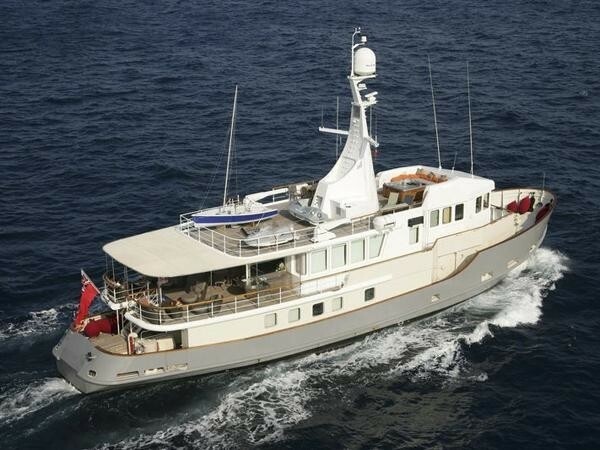 Motor yacht ALTER EGO (ex BULLDOG W) is a 33.80m (110' 10") luxury yacht built by WGB Werft – Berlin in 1991 that has since been refitted. 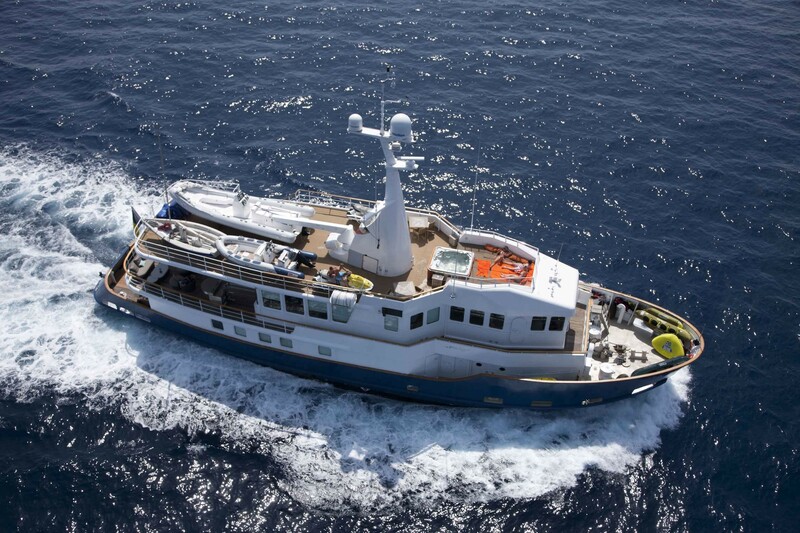 She offers incomparable stability and sits firmly in the water both underway and at anchor. 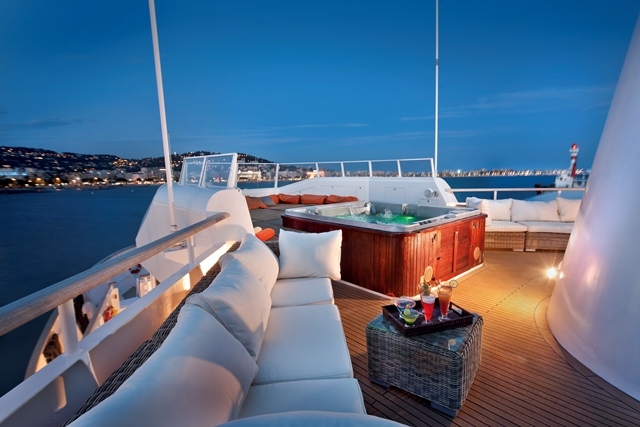 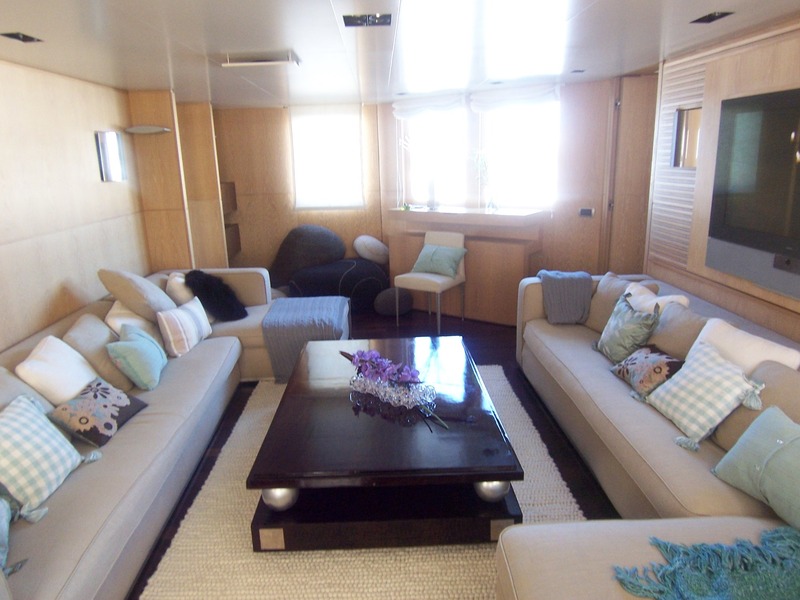 This yacht is ideal for private charters of any configurations as well as event charters, able to accommodate up to 12 guests and host up to 100 guests. 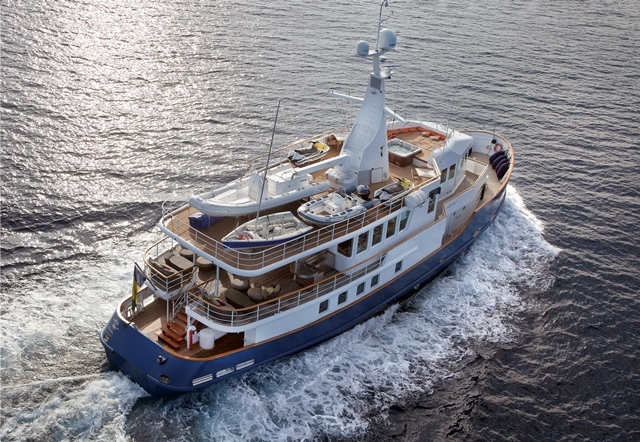 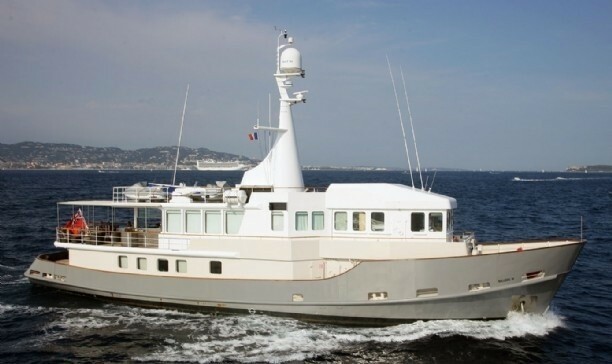 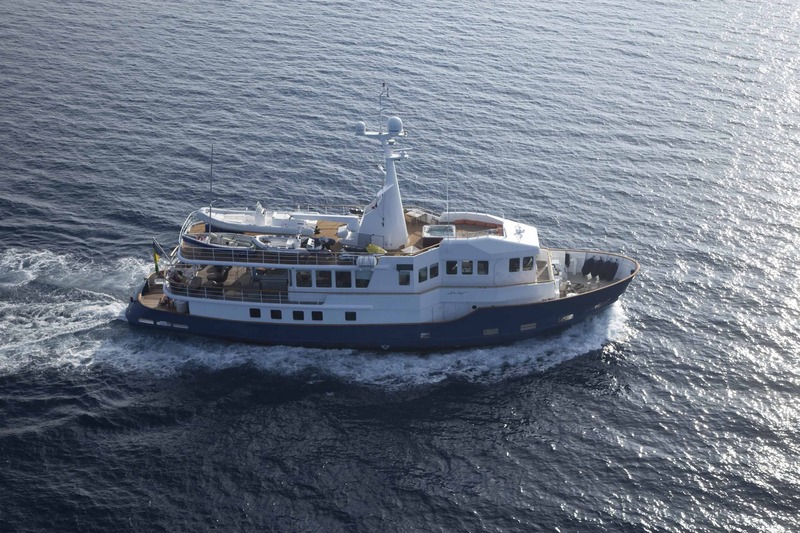 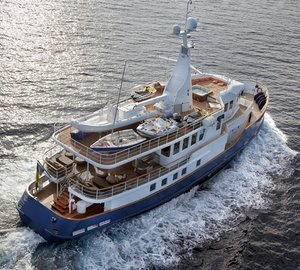 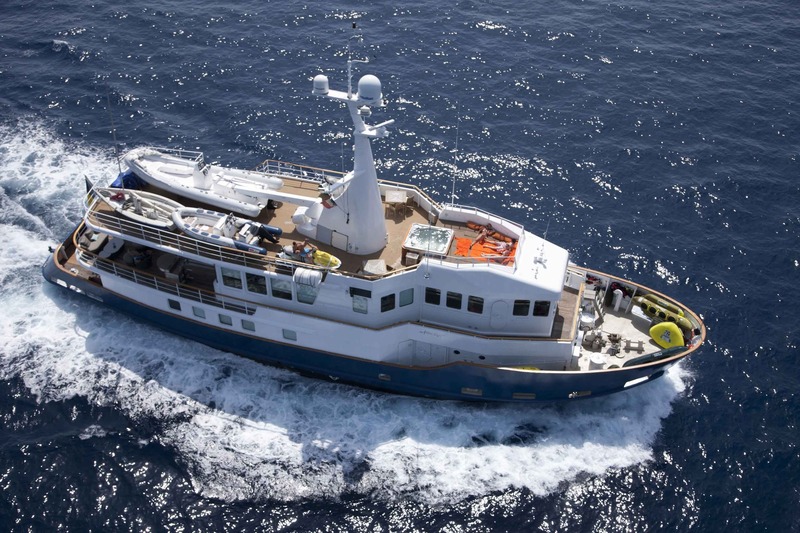 M/Y ALTER EGO (ex BULLDOG W) is an incredibly spacious Tug Boat rebuilt by CMN. 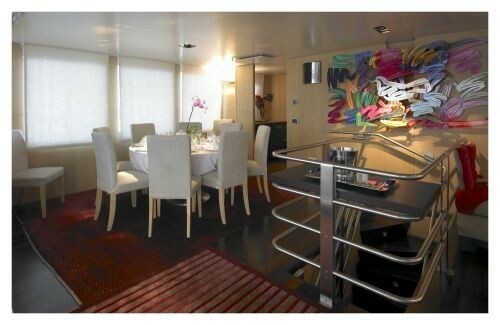 She was originally refitted in 2001 but was seriously upgraded in 2006-2007. 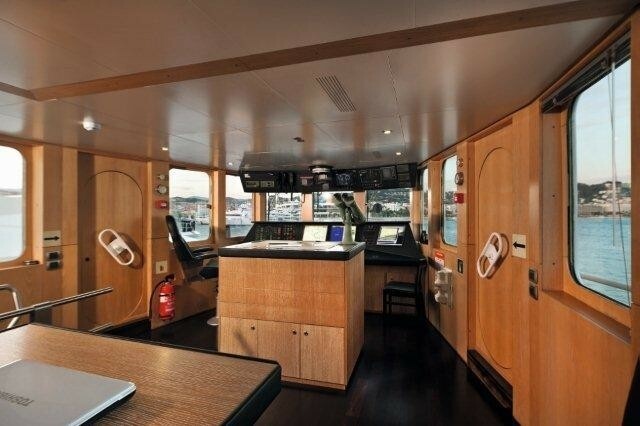 In the winter of 2010 – 2011 the yacht also received a new Wheelhouse, a New Sundeck, New Tender Zero speed stabilizers and her Engine room was soundproofed. 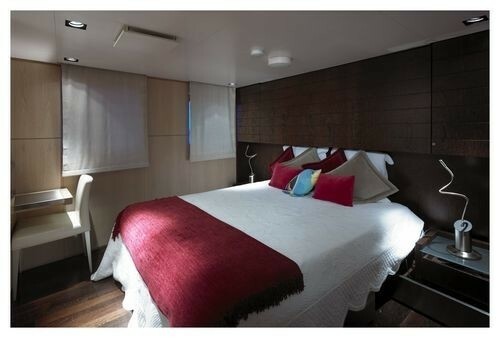 Motor yacht ALTER EGO is able to accommodate up to 10-12 guests in 5 double cabins, 4 of which are convertible to twin beds. 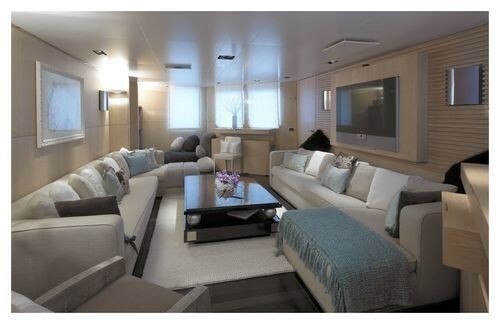 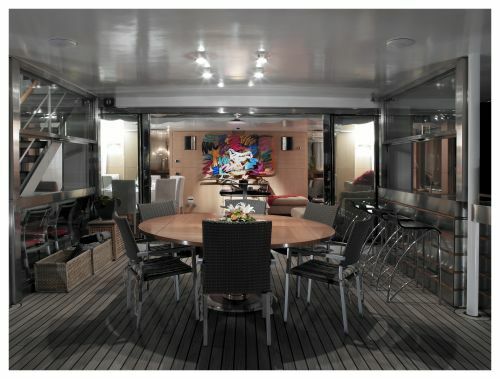 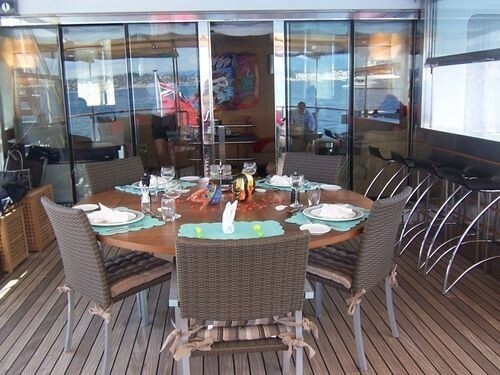 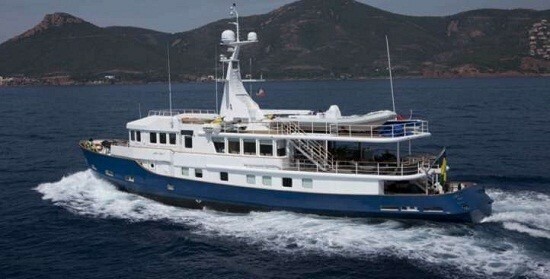 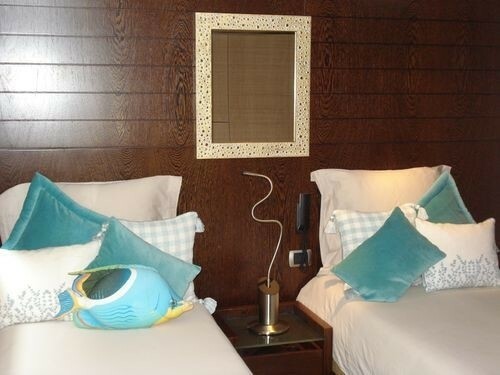 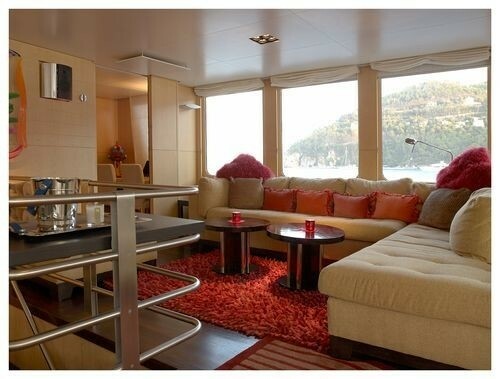 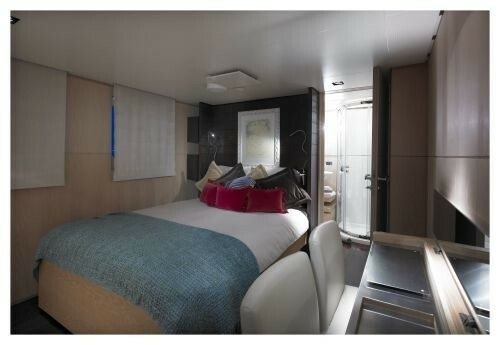 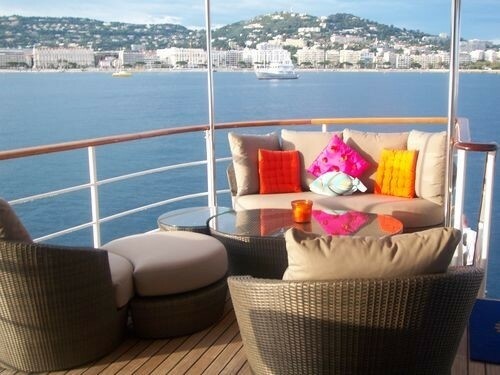 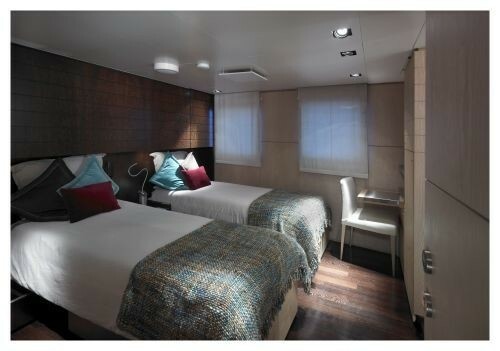 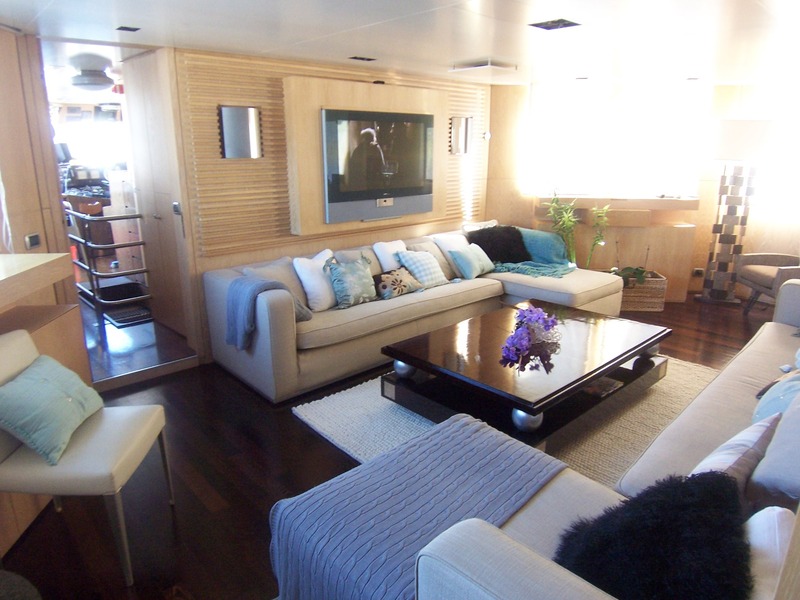 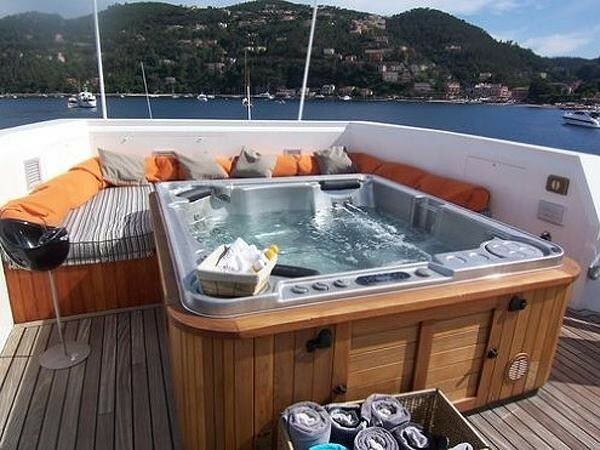 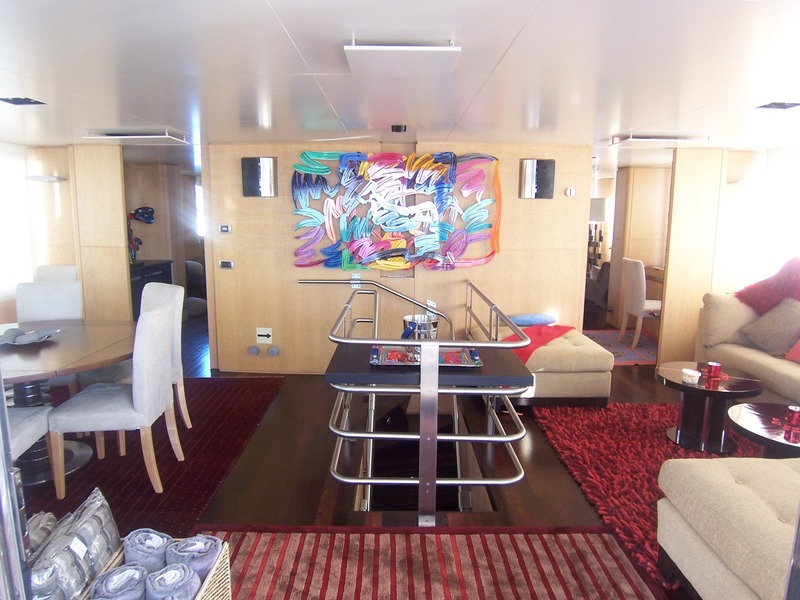 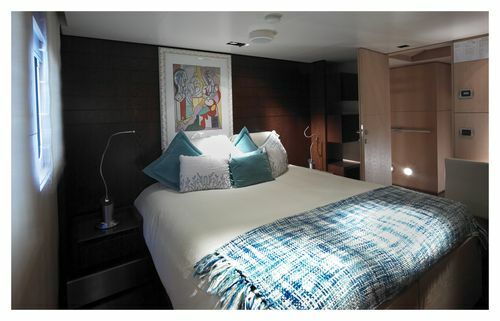 She has a further two pullmans berths allowing a maximum of 12 guests sleeping but is ideal for 10. 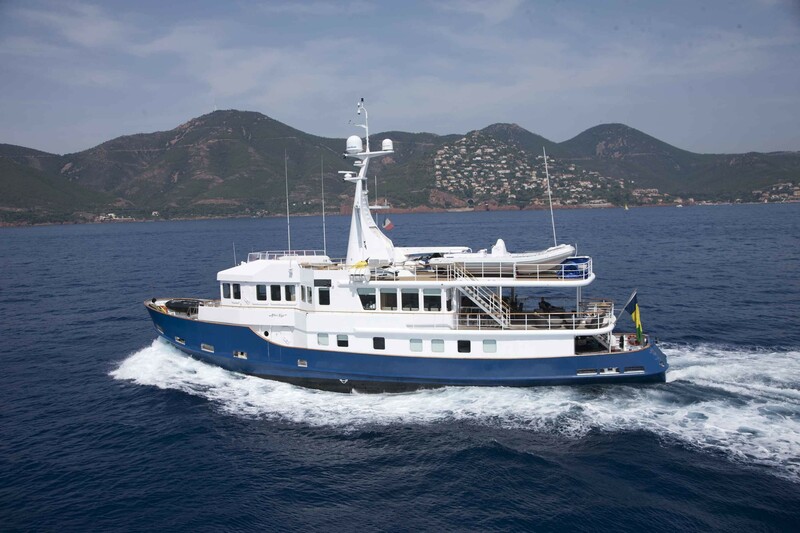 This enables yacht ALTER EGO to host a variety of charter guest configurations including families, friends or business colleagues for event charters. 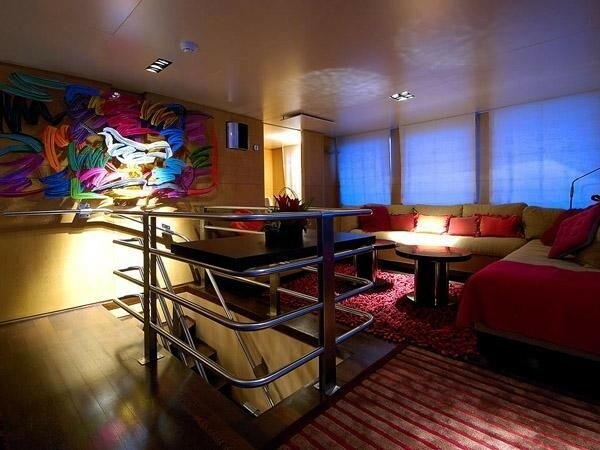 Luxury yacht ALTER EGO has a beautifully decorated interior and her exterior decks offer an abundance of space ideal for relaxing, or entertaining. 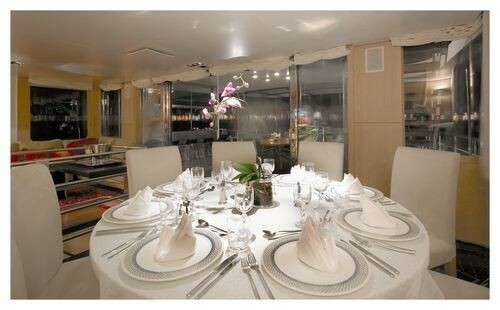 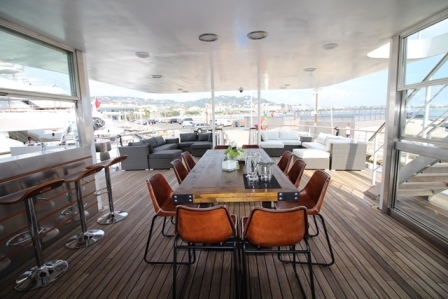 Yacht ALTER EGO is ideal for large scale corporate entertaining of up to 100 guests at the quay for cocktails. 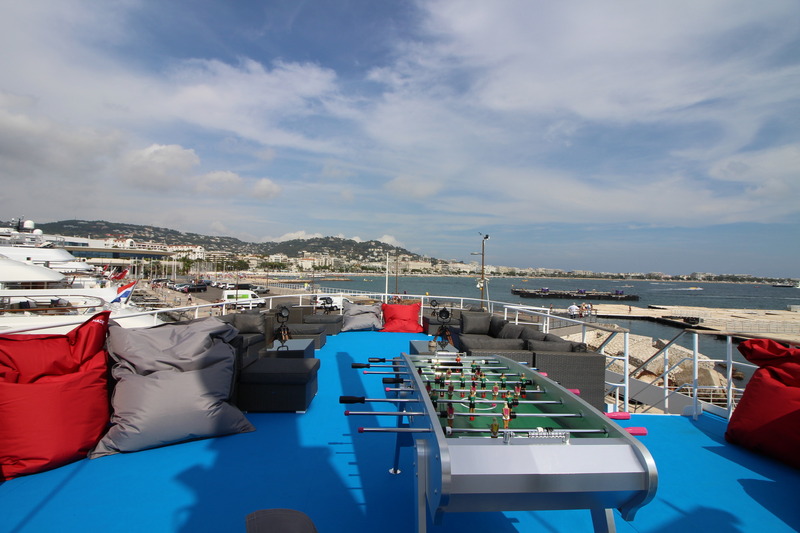 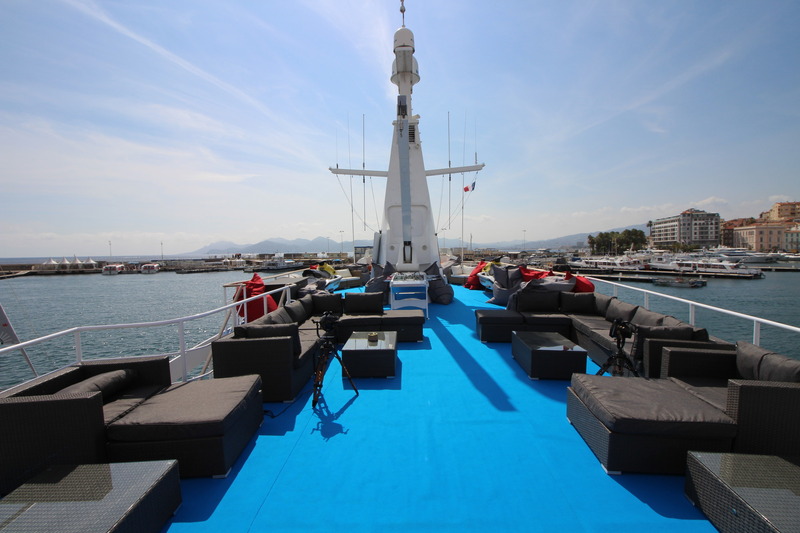 ALTER EGO Yacht has a rich selection of watersports and toys for young and old alike as well as a fantastic entertainment system and selection of music and films. 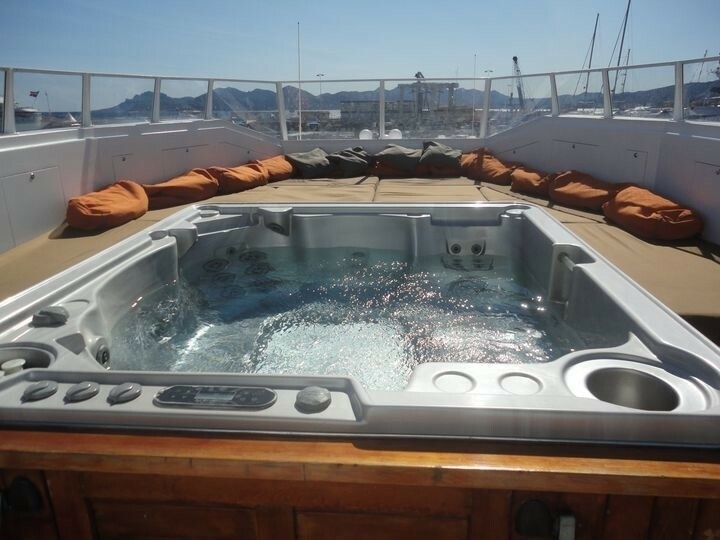 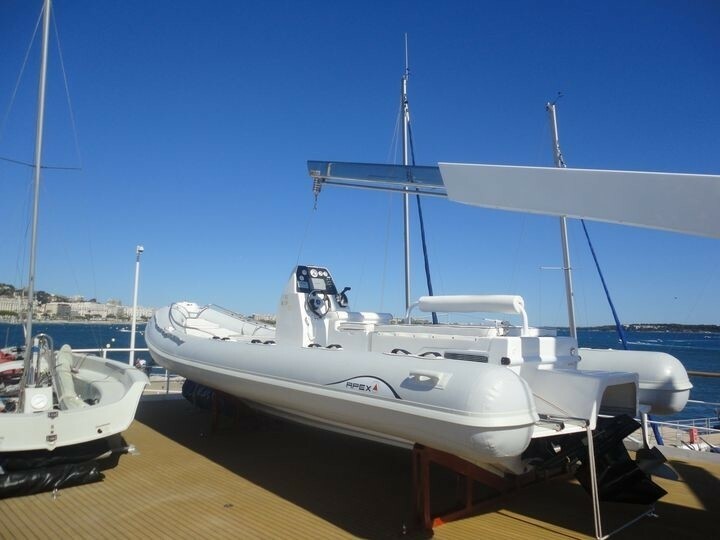 Yacht ALTER EGO has the following extras onboard: Tenders & Toys include a Deck Spa Pool, 2 waverunners, a 5m tender 90hp (new from 2009), a laser Statos sail boat 5m (from 2008), Waterskis and inflatable. 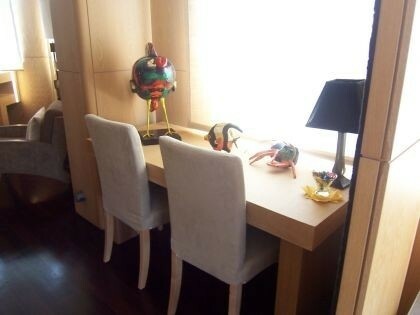 Music and DVD film library.